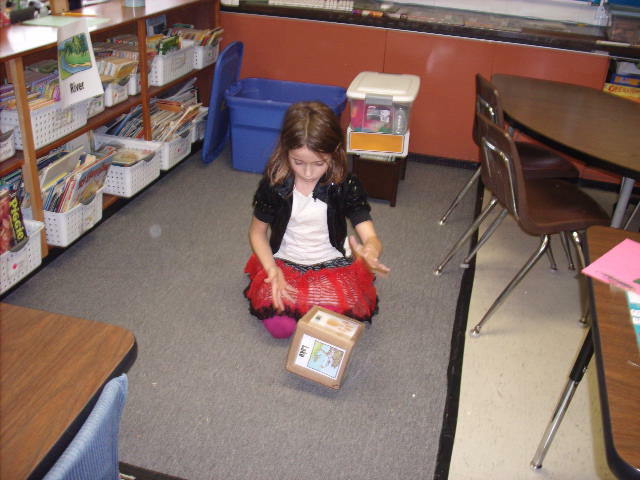 Mrs. Hoskins's Third Grade: Exploring Science Through Fun and Games! Over the past few days we have learned a lot of new concepts in science. To help in our exploration of this new information, we've had a lot of fun with an experiment and a game. 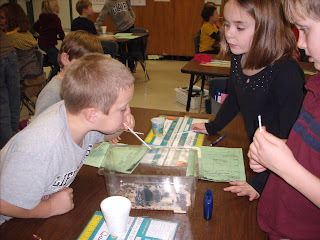 We explored the effects of wind and water erosion on sand, soil, and rocks. The students discovered that sand was the most impacted by wind and water erosion. Ask your child to explain our experiment. We went on an "Incredible Journey" to discover how a water molecule moves on Earth. The students began at a station such as "lake", then rolled a dice to see where the water molecule would travel to next. Some found that they were trapped in the same place for a long time, just like water in real life. Ask your child about this fun game. We've been exploring, playing, and moving to make science more accessible, interesting, and fun!